Do you know the difference between the Christian Science and Scientology? Many people do not understand what each of these religions mean. At a first glance, you might say they are religions that combine the Christian faith with science. If that’s so, how does that work and how do they differ from one another? Honors the text of the Bible, has Sunday sermons, people pray and study religious texts Only have audits in which help people overcome their past traumas. Christian Science is a new religious movement. It was developed in New England by Mary Baker Eddy when she published the book Science and Healthin 1875. Along with 26 followers, she managed to found the Church of Christ, Scientist in 1879. Christian Scientists see themselves as a branch of Christianity, but they have a completely different outlook on life. They believe that everything in the material world is an illusion. 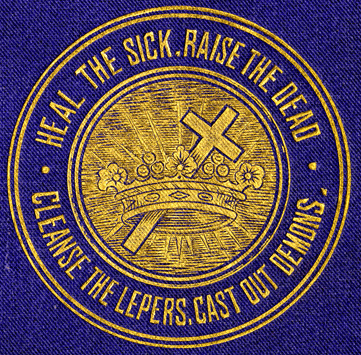 This includes sickness of the body. Although their religion does not reject all medical care, they believe that prayer alone works best. This was a source of scandal when people preferred to pray to get better instead of going to a doctor. In more extreme cases, people refused treatment for themselves or for their children. The cases came to the attention of authorities who prosecuted and even convicted some followers. The Christian Science Reading Rooms are quite famous. There are around 2000 such places in the world and they can be used by followers and non-followers alike. Here, you can read and contemplate the Bible along with other religious texts. Scientology is a controversial religious trend which was declared an anti-constitutional sect in Germany and a cult in France. It was created in 1954 by L. Ron Hubbard, the author of Dianetics: The Modern Science of Mental Health. As a religion, Scientology encourages people to discover their own idea of God and truth. It claims that a person’s negative past experiences can be so traumatic that they are prevented from finding a true identity. These traumatic experiences are called “engrams” when they happen by accident. They call them “implants” when they are caused by people who wish to do harm. These later experiences are thought to be the cause of madness and illness in men. Every person is a “thetan” and every person’s goal is to “go Clear.” This means to break free from these personal problems and to grow as an individual. They hold auditing sessions to help followers rid themselves of past negative experiences. An auditor runs these sessions with the use of an E-meter, a device that measures electrical changes in the body. Each problem area discovered with the device is associated with a personal issue. 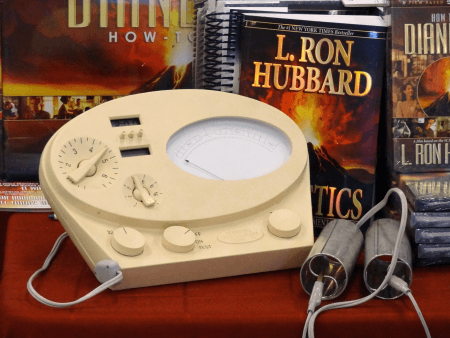 There are accusations of Scientologists harassing people who oppose their practices. They are known for forcing negative information off the Internet and making followers shun friends and family. Also, there are allegations of physical violence within the ranks of the organization and of infiltration within the U.S. government. So what is the difference between Christian Science and Scientology? The biggest difference between the two lies in the fact that Christian Science is a branch of Christianity. Its core beliefs spring from the Bible and from Jesus’ teachings. On the other hand, Scientology is a movement that places the individual at the center. It is the follower’s choice whether to believe in a Sole Creator or not. In fact, Scientology does not ask its followers to give up any other religion. Christian Science is a church with services on Sunday. Also, followers pray and study religious texts. Scientologists, however, mostly have audit meetings. Evil, as seen by Christian Scientists, is an illusion. Salvation comes from prayer, as God may give you wisdom and strength to overcome all challenges. By contrast, Scientologists believe all men are good and only a very few are capable of real evil. Salvation comes from audits that help the individual rid oneself of engrams.